Get to know the Software Developer behind the sounds at Output. I am an Audio Software Engineer and work with an amazing software development team in-house at Output.. I work on everything software related at Output ranging from Digital Signal Processing (DSP) code to create and alter digital FX, to framework architecture, to User Interface code. Every day is different in the world of code when working with audio software and I love that. When I’m out of the grid, my day includes coordinating meetings to find where to dig deep into the code in order to implement new actions and directions. Internally speaking, I can be dealing with creating custom user interface components, building out our internal coding architecture to further handle the needs of our products, or perfecting DSP code to ensure our audio sounds perfect. During my adolescence in Los Angeles, I grew up on electronic dance music and the events happening in LA at the time. During that period through today, there’s been a handful of extremely influential music collectives (Moontribe, Terrakroma, PsyTribe, Green Sector) in the Los Angeles area that have contributed to my taste in music and growth as a musician (and human being, really). These relationships built the platform to play music under my musical alias, SYNCHRONOMETRY. Following my Bachelor’s Degree, I decided to go to California Institute of the Arts (CalArts) to complete my Master’s in Music Technology. I decided to build on my technical background while developing my understanding of music theory, acknowledging that if I never understood music at the fundamental level than my work as an audio software engineer would be limited in scope. If you are curious, here’s where to find my Master’s Thesis online at my private Github repository, which also hosts my applications made for research during my time at graduate school. I like to joke that I went to school for programming, and left a musician — so I went back to school for music, and left as a programmer. Funny how life works out. With daily software development, a flourishing music project, and a lot happening, there are a few things that seriously ground me: My family, meditation, Brazilian Jiu Jitsu, and of course making music. I have a beautiful family consisting of my Fiancé Laura, Stepdaughter Alijah, and my little old terrier Lilo, who keep me sane when life becomes intense. 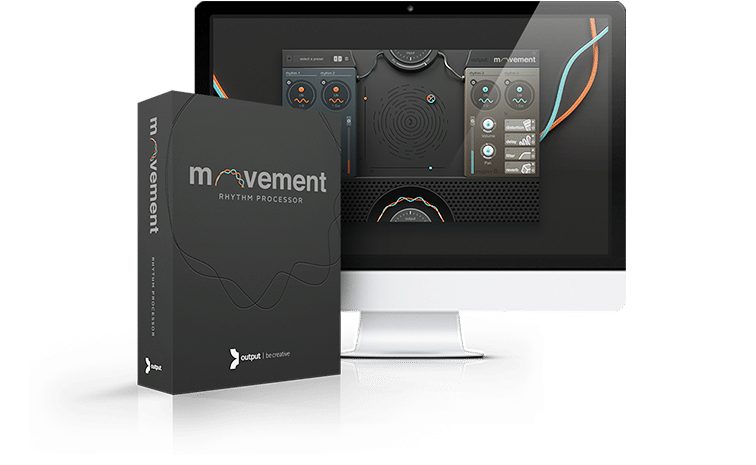 They’ve been in my life through thick and thin since I was in undergraduate school, creating Output’s first C++ Audio Plugin (MOVEMENT), and an essential part of the growth of Synchronometry to where it is today. Meditation has taught me to be content with life, slow down, and observe the sensations that life brings with each breathe. A few years back, I took ten days out of my life to sit in silence and learn Vipassana meditation. Truly, everything is temporary — so why fret? Relax. Slow down. Enjoy. Working with audio software and digital music production, I spend a lot of time on the computer. The longer my body sits still, the more I can feel that I need to move it. Brazilian Jiu Jitsu is my latest reclaimed love — it’s amazing to get your body and mind moving and working in entirely different ways. This beautiful artform has been reintroduced into my life by my fiance and stepdaugther and I can’t live without it. I created Synchronometry in undergraduate, and has flourished over the past seven years thanks to the support of a beautiful community of Southern California music lovers. Synchronometry has been booming as late, with performance bookings across Southern California and the Pacific Northwest with the first large-scale open-air festival for 2018 happening at Serenity Gathering. Follow my mixes inspired by each season of the year. Here’s the vibes for Winter for your listening pleasure.. Hear me out: my true appreciation for sound comes from my appreciation of silence. In a world of hyperactivity and overstimulation, the constant influx of information can be outright overwhelming. Stop. Breathe. Move forward. Repeat.